Pham Ngu Lao Street in Ho Chi Minh City is on the western edge of District 1 and is renowned as the place where most backpacking travellers stay during their holiday. 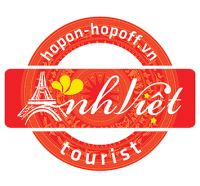 A 25-minute taxi ride from Tan Sot Nhat International Airport, it comprises numerous lanes and back alleys though the main thoroughfares include Pham Ngu Lao, De Tham, Bui Vien, and Do Quang Dao streets.Set along these alleyways are western-style restaurants, coffee shops, and international bars, countless tour companies and kiosks, affordable motels, hostels and guesthouses, pharmacies, and souvenir-and-craft shops. Pham Ngu Lao Street is not limited to only low-budget travelers, its own unique vibe draws people from everywhere due to its close proximity to prominent landmarks in Ho Chi Minh City. Take advantage of the restaurants in the Pham Ngu Lao Area as they’re known for delicious and well-priced food. Numerous cafes selling powerful Vietnamese coffee are also prevalent, usually fitted with high-speed Wi-Fi. There are plenty lively street markets and modern shopping malls nearby as well as boutique shops and art galleries within the narrow lanes of Pham Ngu Lao. Pham Ngu Lao nightlife is also one of Ho Chi Minh’s finest, with throngs of street vendors, beer stalls, lively bars, and downtown clubs filling up the lively scene. It’s also common around here to meet friendly expats who are more than happy to share a few tips about travelling in and beyond Vietnam.